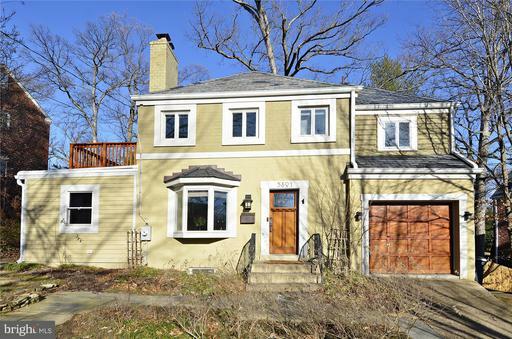 STYLISH HOME IN GREAT BETHESDA NEIGHBORHOOD HAS BEEN RENOVATED TO OPEN UP THE LIVING SPACES. A NICE GREAT ROOM COMBINES WITH DINING SPACE AND PROVIDES ACCESS TO THE YARD. MAIN LEVEL BR W SEP ACCESS CURRENTLY USED AS OFFICE. 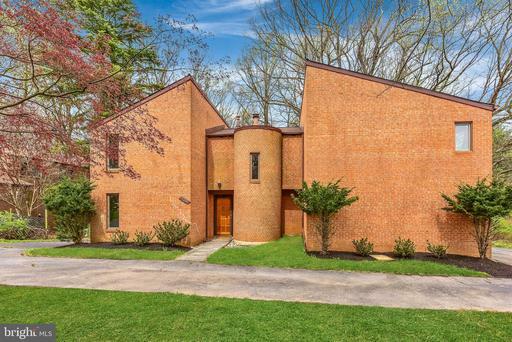 THIS IS A MUST-SEE HOUSE! 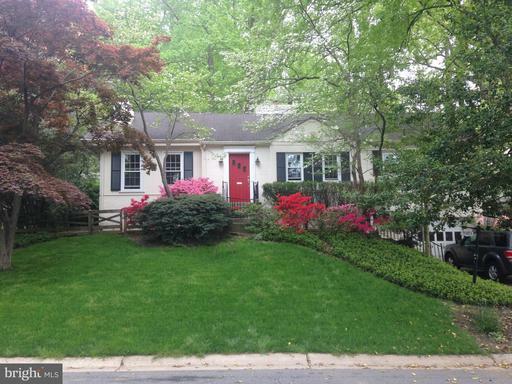 Welcome to this lovely Bethesda home. The home offers the best of Bethesdas classic style with a new kitchen and master bath addition built in 2005. Lovely Williamsburg detailing and charm. Theres a conservatory where you can watch the seasons change. You have your own private Bocce ball court at the top of the back garden. The gardens are filled with blooming plants. The patio provides a serene oasis for al fresco dining. Bathrooms have been updated and modernized. The hard wood floors are filled with character. The well-designed new kitchen offers high-end stainless-steel appliances, gas cooking, and a wine cooler. And its filled with light and garden views. The interior of the home has been recently painted in warm and inviting colors. The traditional style living room has a fireplace to take the chill off on cooler nights. The dining room glows with a warm rose color, stunning wood ceiling, and a second fireplace, where you have a full view of the conservatory. Two bedrooms and baths plus a library or office complete the main level. The lower level has been fully finished with a family room, sleeping area, full bath and laundry area. 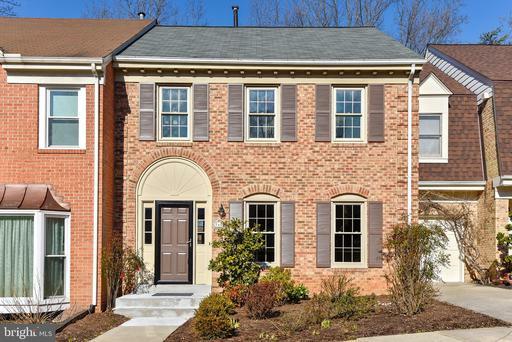 Bethesda at its best with a convenient location to major roads makes for an easy commute. Enjoy your visit. With its fresh paint, clean lines and open floor plan, this light-filled home exemplifies the best of modern living! Natural light creates a welcoming ambiance, and the dramatic ceiling line crafts a perfect backdrop for art and modern or traditional furniture. The front-to-back split level features a spacious living room with a vaulted ceiling, a delightful kitchen and a separate dining room. 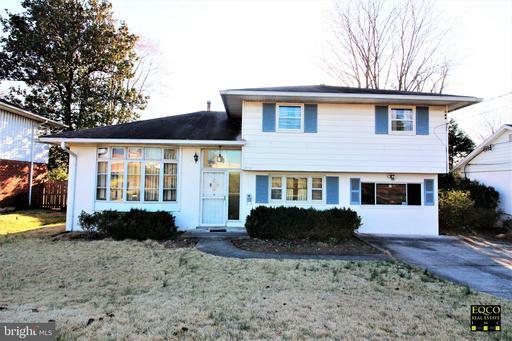 There are 3 bedrooms and 2 full baths upstairs, including an owners bedroom with private bath. The finished lower level is ideal for exercising, media and for guests, offering a spacious recreation room with doors to the yard, a bedroom, and an adjacent half-bath. Step outside to a patio and lawn area, with ample space for gardening or play. 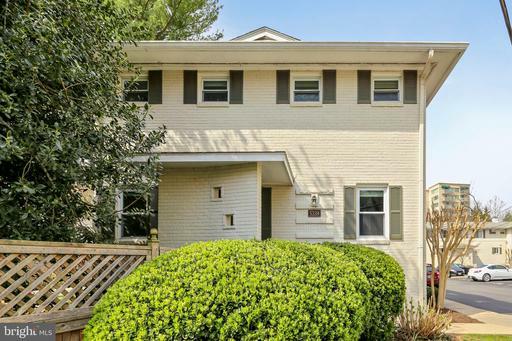 Just moments from NIH, Wisconsin Avenue, and the areas finest public and private schools, this home offers the convenience of close-to-downtown living, easy access to Metro, I-495 and I-270. 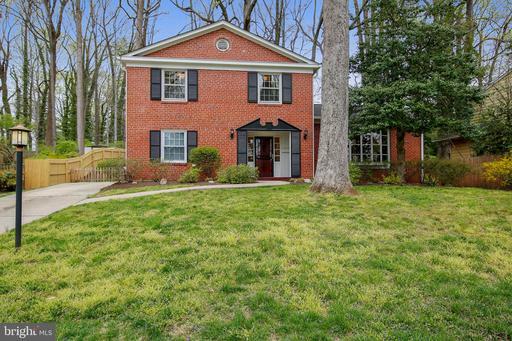 Located in a sought-after Bethesda neighborhood bordered by Rock Creek Park, this home offers urban-style living with the easiest access to outdoor recreation! Amazing opportunity to own a single family home for the price of a condo. 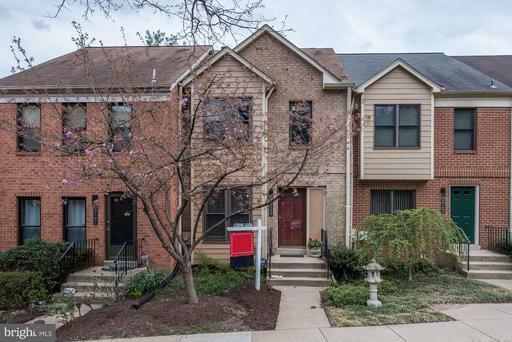 Move right in and enjoy this captivating home in an ideal location thats so close to Wildwood Shopping Center, Downtown Bethesda, Pike Rose, so many shopping/dining options, parks trails, neighborhood pool, Metro, MARC, DC, 270, 495, as well as just about everything else. Flooded with natural light from the peaceful sunroom to the living room with soaring ceilings, beautiful wall of windows floor to ceiling brick surrounding the fireplace. 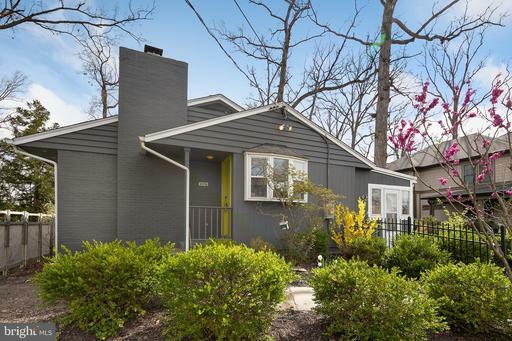 This isnt just a charming, modern bungalow... this gracious home offers a master suite with an updated bath, three additional bedrooms, another updated bathroom, a modern kitchen that opens to the dining area and a lovely sunroom/studio. The zen garden inspired yard provides a natural playground as well as a welcoming space to relax entertain. Well loved home thats been well maintained in a fabulous area with highly rated schools... welcome home! Modern 2br/2ba on QUIET, rear side of bldg. METRO! Garage parking! W/D in unit! Private, oversized balcony overlooks trees, NOT Woodmont Ave. Lots of closet space separate dining area. 24-hour concierge, pool, tennis, fitness center. Wake up late, METRO to work return home to BBQ, swim, play tennis new courts going in now! sip wine on your peaceful balcony. Happy hour first? No problem! Youre in the heart of Bethesda. Perfect location, unit building. You cant get any closer to the METRO - its across the street. Pet-friendly too. Guest parking! Listing Broker: Stuart Maury, Inc. Expansive sunny unit in sought-after Sumner Village. This immaculate unit offers fresh paint and flooring, renovated baths and kitchen and young appliances. Full sized washer and dryer in the unit! Sumner Village is set back in a peaceful setting in a gated community. But steps from shopping and restaurants. A sunny balcony offers a quiet retreat. Woodacres, Pyle, Whitman schools! 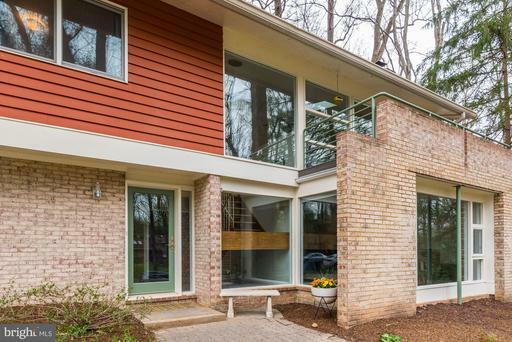 Freshly Painted and Updated Contemporary in premium Bethesda School District. 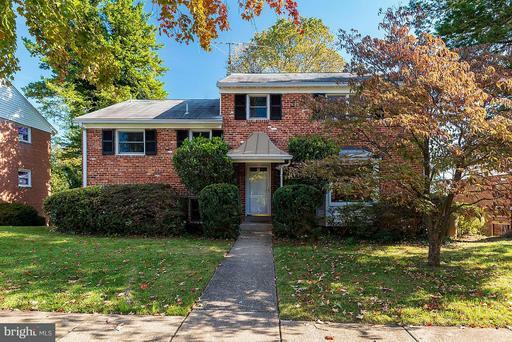 Substantial offering includes 4 Bedrooms and 2 full Baths on the upper level, 2 car side-loading garage, 3 levels of living space, updated kitchen and baths. Other improvements made include: windows, roof, HVAC, windows and more. Sited on a .25 acre corner lot. Not to be missed! 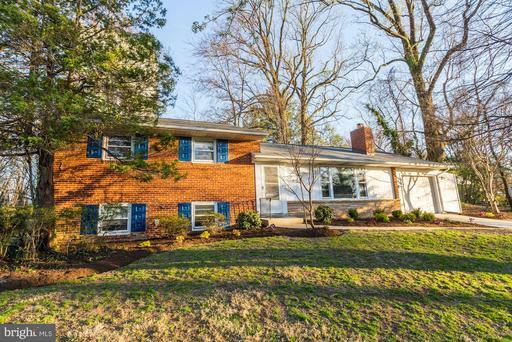 Tremendous opportunity in this sprawling rambler in Bethesda. 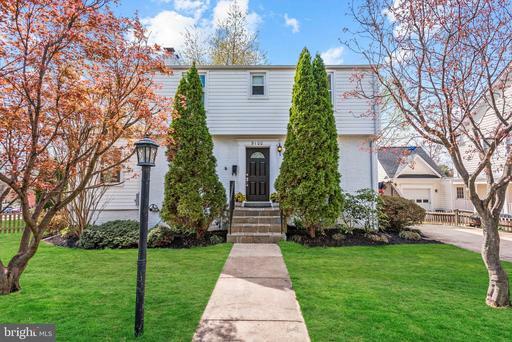 This property, built on an oversized lot, has a spacious living room, separate dining room, laundry/mud room, separate dining room, master suite with bath, and a huge basement with a walkout to back yard. Property is an estate and will require your vision and TLC. 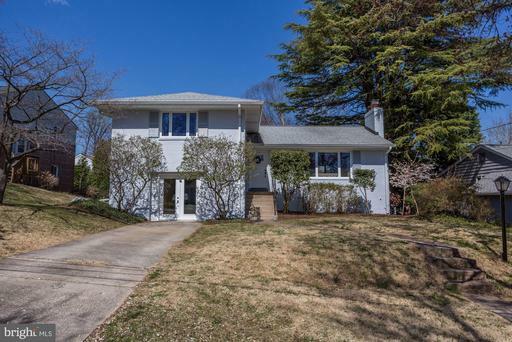 Amazing location is located 1/2 mile from Rockville Pike and Rock Creek Park Trail, it is right around the corner from the Bethesda Naval Walter Reed campus and NIH, and just under a mile to 495/Beltway. Due to size of lot, plenty of room to expand to the rear or rebuild a much larger home, or possibly a third story added check with county for any lot or zoning restrictions. 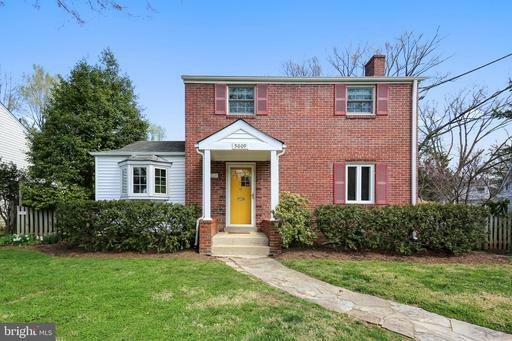 Remodeled and expanded storybook 2BR/2FB brick colonial with spectacular living room and kitchen additions on a professionally landscaped lot in an unbeatable close-in Bethesda locale. This updated ~one of a kind~ treasure boasts character and charm and is flooded with natural light. The home features an open floorplan due to the multiple expansions, hardwood flooring throughout, custom painting, newly remodeled kitchen, Andersen replacement windows, and upgraded lighting. Flagstone lead walk to covered portico with beaded ceiling; foyer entrance with three coat closets opens to expanded living room with built-in bookshelf, bay window, new ceiling fan, and Andersen French sliding glass doors to rear deck; cozy den with a full wall of custom-built shelving and cabinetry; remodeled kitchen addition with cathedral ceiling, Palladian window, recessed lighting, raised-panel painted cabinets, under cabinet lighting, quartz countertops with breakfast bar, new stainless Whirlpool appliances, rear French door access to delightful screened porch and Andersen French sliding glass doors to rear deck; main level full bath with corner shower and pedestal sink; two upper level bedrooms with barrel ceilings, hardwood floors and new lighting/ceiling fan; full bath with ceramic tile floor and tub surround; lower level recreation room with storage/laundry room with washer, dryer and laundry tub; fenced-in yard with shed and brick patio. 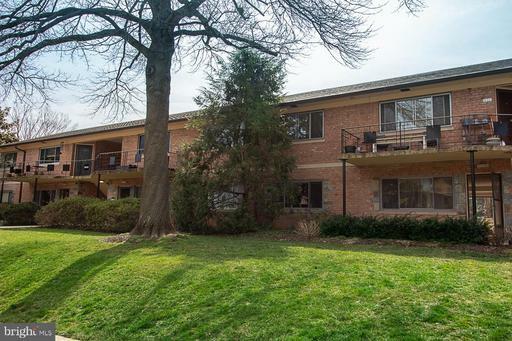 Conveniently located in the desirable neighborhood of Green Acres which houses the Little Falls Swimming Club and all of the playgrounds and fields of Westbroook Elementary School. 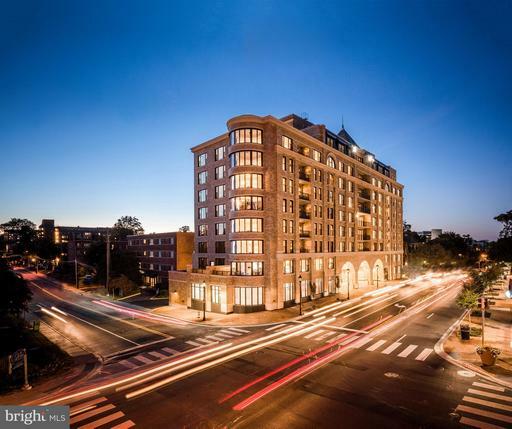 It is also is just steps from the DC line and close to Friendship Heights Metro, the Capital Crescent Trail, two Whole Foods markets, and all the restaurants retail along River Road and into downtown Chevy Chase and Bethesda. Downtown Bethesda! The Christopher! 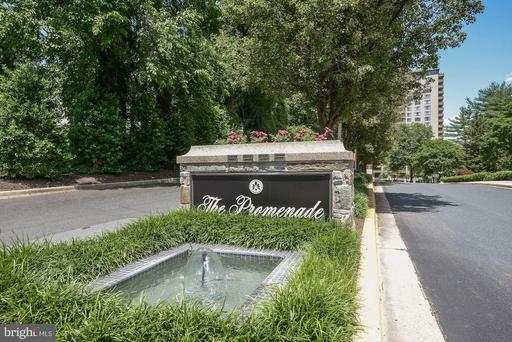 24/7 front desk, party room, pool, fitness room, washer/dryer in unit, walk-in closet, unlimited building-supplied hot water, balcony with a view, 2 underground pkg spaces deeded, pet friendly, steps from Metro, 1 block from new Marriott HQ, 1 mile to NIH Walter Reed Natl Med Ctr, Great building, great location, great layout, reasonable condo fees $626/mo. Great value going forward. 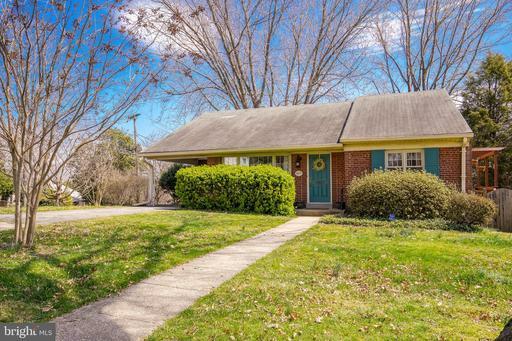 Charming home with updates galore. Chefs kitchen opens to family room with fireplace and lovely patio. Lovely living room with window seat. Separate dining room and large foyer. Hardwood floors. 3-4 bedrooms upstairs. Large master suite with walk-in closet, vaulted ceiling, sitting room and en suite full bath. Rec room in lower level and full bath. There is a one car garage but access has been restricted because of bump out of house - small car only great for storage! Above garage is a large studio! Blocks from NIH Metro. Fabulous private yard. 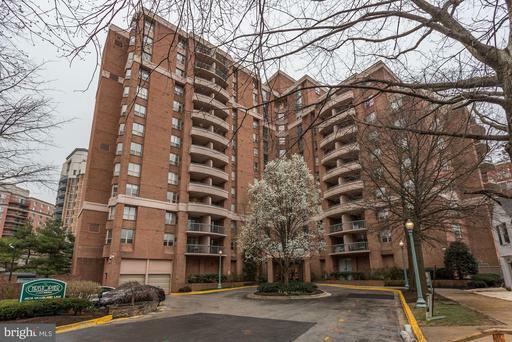 Bright 3lvl end unit featuring 3 BR plus DEN 3 full baths in desirable Bethesda Overlook. Great for entertaining; updated kitchen/ dining room open to large family room w/ lots of sun overlooking the well kept open space outside. 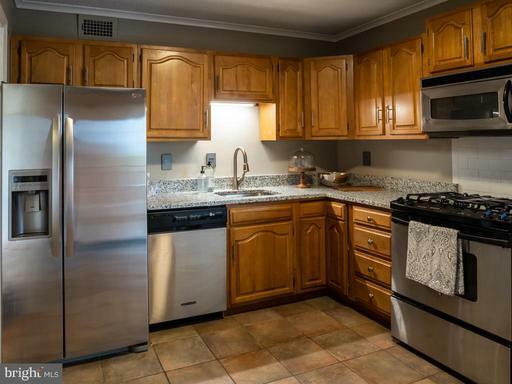 Updated kitchen appliances, new master bath, freshly painted throughout. 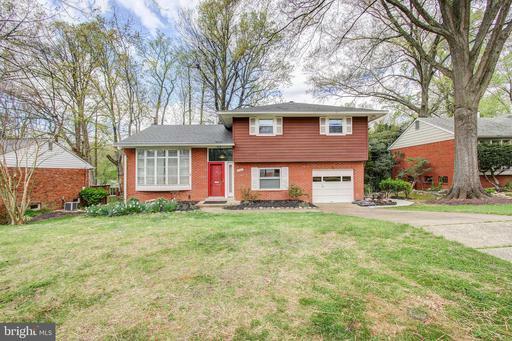 lower level with new full bath, entertaining area and bonus room with walk out to patio. Commuters dream w/ easy access to 495, 270 and Wisconsin Ave, ride on buses to grosvenor, medical center and Bethesda metro stations. Close to the 4 mile Bethesda Trolley trail, biking, inline skating, shops and restaurants. 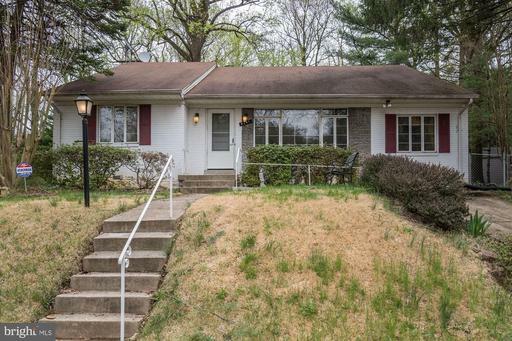 Close In Location Near NIH Metro. Highly desirable Upper Unit Model with TWO MASTER SUITES and Upstairs Laundry. Priced to reflect basic current condition. Stainless Steel Fridge installed. Large bedrooms each with private bathrooms. Table Space Kitchen w/Stainless Appliances. Wood Burning Fireplace, Large Covered Balcony. One Permit for parking in spaces directly in front of unit and lots of additional parking steps away on Dudley Lane. Private Community pool included in Condo Fee. Gas Heating and Hot Water. Shown By Appointment. Sold As-Is. Move in and plan your future remodel or Plan Your Remodel and THEN Move-In. 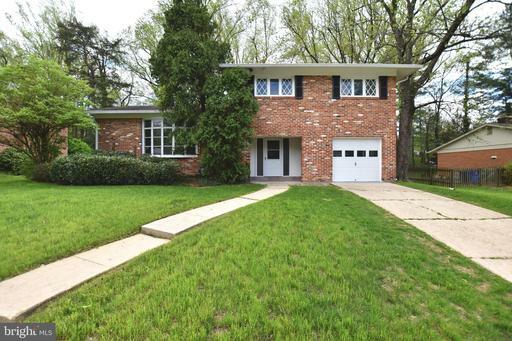 Either way, this one is a winner with space, 2 levels, Pool, Metro , Pet Friendly Near Maplewood Park. WJ Schools w/Bus Service. 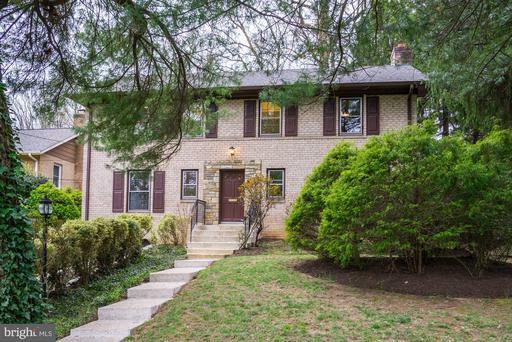 Listing Broker: Rose Realty Group, Inc.
Sun-filled, meticulously maintained front-to-back split steps to Rock Creek Park, NIH and Walter Reed! Hardwood floors throughout main upper levels. Spacious living room with dramatic cathedral ceiling, large separate dining room leading to kitchen with lots of great space for cooking wonderful meals. Deck access from kitchen. Upper level with Owners Bedroom with private bath plus two additional spacious bedrooms with connected buddy bath. The fully finished walk out lower level is complete with a large recreation room with fireplace, 4th bedroom, half bath, laundry room and ample storage space. Glass doors leading to lower level deck and private, fenced yard. 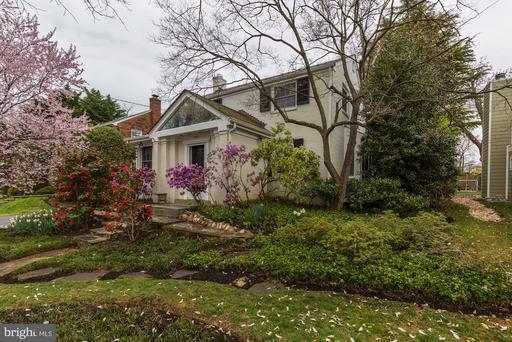 Fabulous corner lot close to public transportation major commuter routes. Dont miss! CORRECT MONTHLY CONDO FEE IS $655. 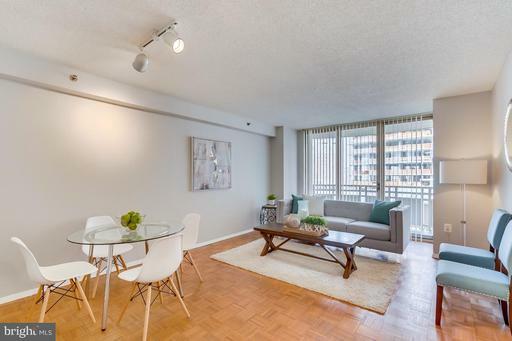 Immaculate 1 bed + den, 2 full bath condo in Adagio. HWF are featured in the main living areas and new carpet has been installed in bedroom and den. 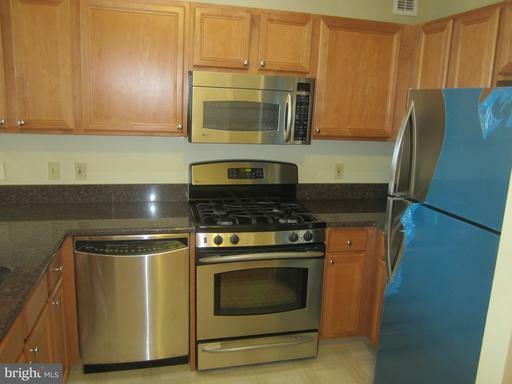 Open kitchen has stainless steel appliances, granite counters, island w/ breakfast bar seating. MBR is equipped with en-suite full bath. Stacked W/D in unit! 1 garage space conveys and there is FREE ample guest parking. Adagio has had recent upgrades and features a fitness center, library, sundeck, concierge, and a convenient guest suite which can be rented at $100 per night! The guest suite comes with a king-size bed, bath, kitchenette, den. 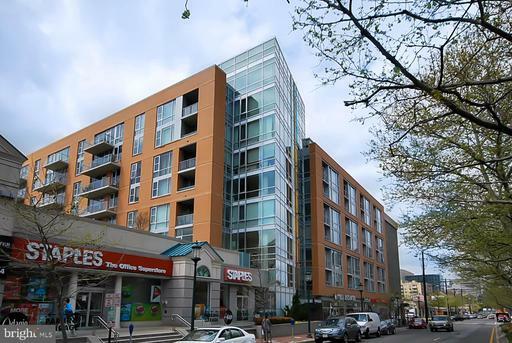 The secure building is steps away from Target, Trader Joes, Bethesda Metro, a plethora of shops and gourmet restaurants! 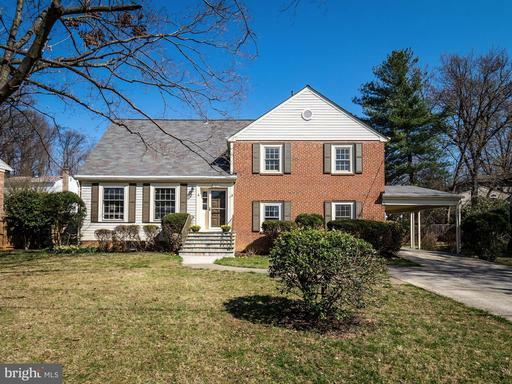 Immaculate Beautiful Brick 4 BR/3.5 BA Colonial in Unbeatable Location close to 495/Metro/NIH. 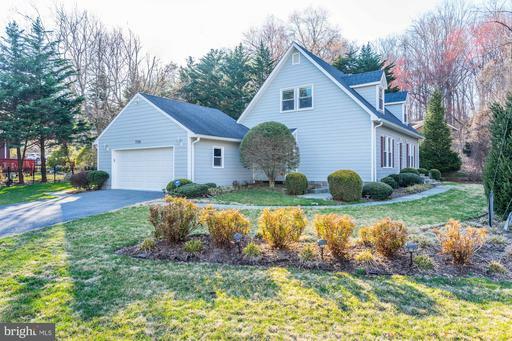 Light-infused Wall of Windows stretches from Updated Eat-in Kitchen with Stainless Steel appliances/Granite counters in an OPEN FLOOR PLAN to Spacious Breakfast Area to Grand Family Rm with Stone Fireplace/Bar that leads to Newly-Stained Deck in Fenced Backyard. Gleaming Hardwood Flrs on 2 levels. Newer Roof! 2018 Newly-Renovated Hall Bath. Main Level Study Room! Dramatic Oversized Living Rm with Soaring High ceilings opens to Formal Elegant Dining Rm with Crown Molding/Chair Railing. Oversized Master BR with additional Sitting Rm 2 Huge Walk-in closets. 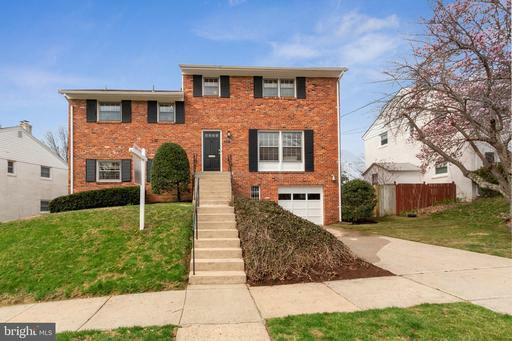 Expansive Walk-Out level basement with Full Bath, 2018 New Carpet. Fresh Paint, Ceiling Fans, Recess Lights throughout. 2019 New SS dishwasher. 2018 Newly-Expanded Extra-Wide Driveway. Lovely 1 BR steps from Bethesda Row. Includes underground parking - and in-unit washer and dryer. Granite and Stainless kitchen. Floorplan is circular for efficient use of space. Large walk-in closet separates MBR from Bath. Large windows let in lots of light - on the quieter back side of the building. Condo fee includes all heat, air conditioning, gas, water, sewer and trash. The only utility you pay is electric which runs about $40-$50 a month. Unit is currently tenant occupied - so is shown by appointment only. We have to respect the tenant who is reasonable with advance notice. Welcome to Wonderful Wildwood! This rarely available floor plan offers five fabulous finished levels of living space and generous room sizes. The main level foyer connects to a spacious living room, formal dining room and table space kitchen with an attached screened porch ~ Perfect for outdoor dining and entertaining! 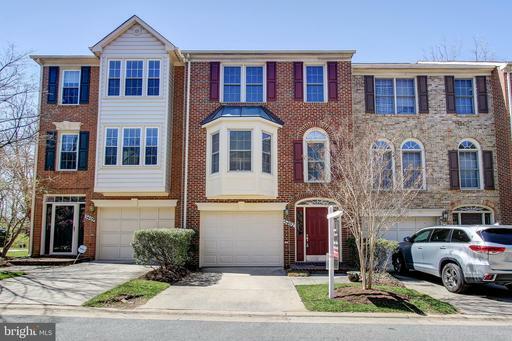 Upstairs features four large bedrooms with hardwood floors and two full baths master and hall baths. The lower level includes a cozy family room with wood burning fireplace, full bath and mudroom with laundry facilities which connects the carport to the home. The finished basement is a perfect recreation room or spacious home office. 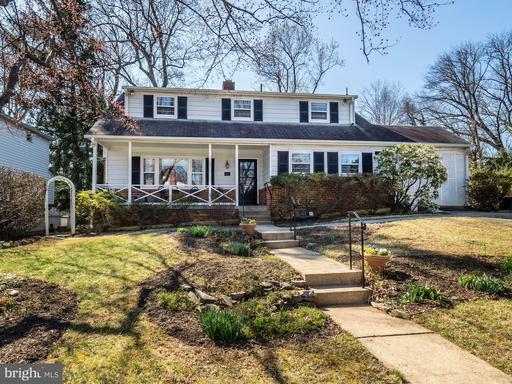 The home has been meticulously maintained and features recently updated roof and building systems, newly finished hardwood floors and new carpet on the basement level. 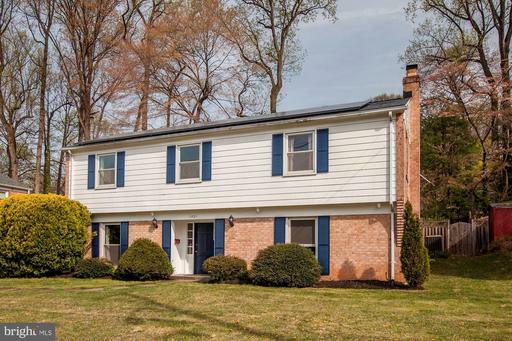 Sited on a flat lot on a quiet street close to Wildwood Shopping Center, Grosvenor Metro, the Hiker Biker Trail and major commuter routes I-270 I-495. The Wildwood neighborhood features a fun neighborhood pool and community events including an epic 4th of July Parade each summer!. 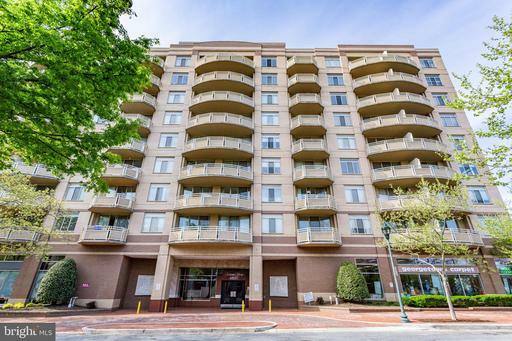 Large one bedroom in the heart of downtown Bethesda! 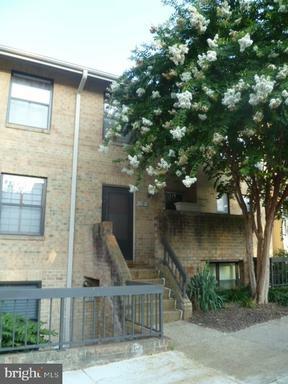 Light filled unit with stainless steel appliances, granite counters, wood floors, in unit washer/dryer and private balcony. 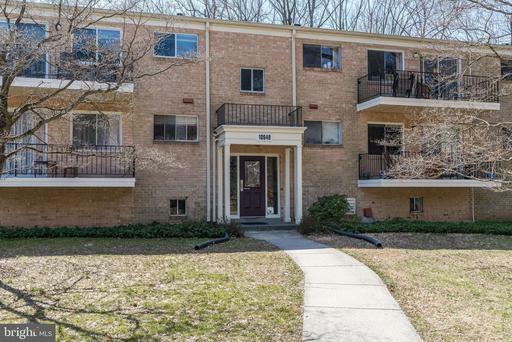 Your chance to own in a prime Bethesda location! 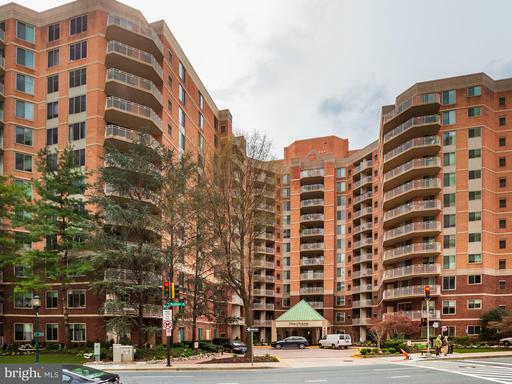 Blocks to Bethesda metro, restaurants, pubs, grocery stores and boutiques. Less than a mile to NIH Walter Reed Medical Center. 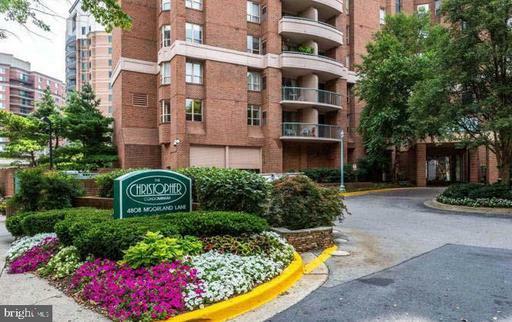 Convenient to the Capital Crescent Trail and DC. Garage parking available for monthly rent. Single Space: $180 per month. Double tandem space: $230 per month. 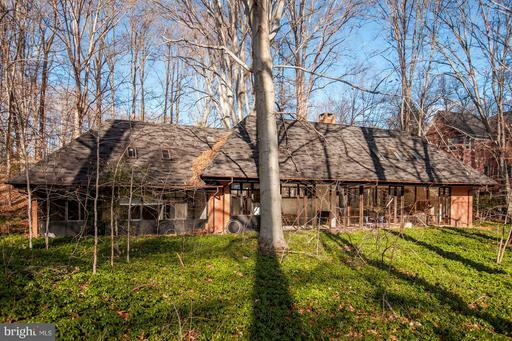 This deceivingly-large 1950s glass house sits on a beautiful 1+ acre wooded lot in sought-after Carderock Springs. The house in its current state is a 4BR/2FB in need of some TLC, but it has the potential to be a grand home. Features an open kitchen, wood-burning fireplace, full walls of glass overlooking private wooded lot, tons of entertaining space, an entire open-floor-plan second floor which could be easily sectioned off into additional bedrooms and bathrooms, and extra attic space. The basement has 9+ foot ceilings and skylights as well as a utility room. The lot is large enough that a developer could possibly subdivide. 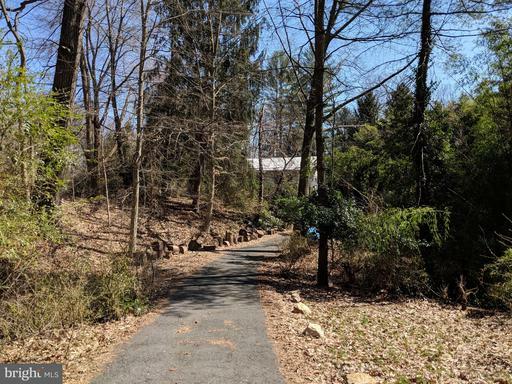 The property is located near the Palisades Swim and Tennis Club, Congressional Country Club, Burning Tree Club, CO Canal and the Potomac River, and is easily accessible to Bethesda CBD, Chevy Chase, downtown DC, and I-495 for commuting. Wow!! 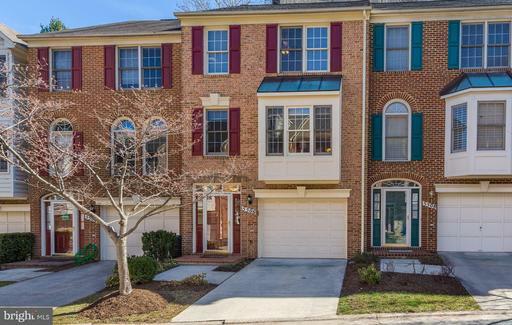 Gorgeous, freshly painted three story bright and airy townhome with three bedrooms and three full and one half baths. The main level features hardwood floors throughout the living room with bay windows and dining room with chandelier and pass through window. Gourmet kitchen and breakfast area with stainless steel appliances, granite countertops, new ceramic tile flooring, laundry closet, and french door to a large deck. The upper level encompasses two large MBR Suites, both with expansive closets, and en-suite bathrooms. The lower level features a gracious foyer entry, 3rd bedroom with wood burning fireplace, full bathroom, access to pavered patio, and a one car garage. Dont miss out on this beautiful home! 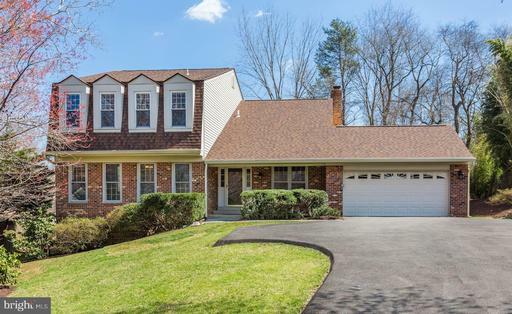 Open House Sunday 4/14, 1-3pm. Open Sun 4/14 1-4pm. City living at its best! 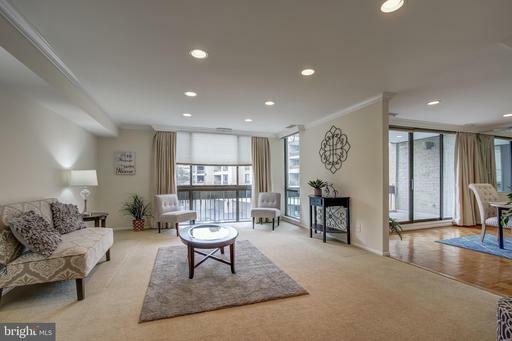 This SPACIOUS 2BR/1BA condo is conveniently located in the heart of downtown Bethesda. The 1100SF interior offers a perfect open concept with a standard, eat-in kitchen awaiting your personal touches with new appliances and ample cabinetry expanding into the dining room; gleaming hardwood floors; beautifully crafted built-ins in the living room; generously sized bedrooms with ample closet space; stylish, upgraded bath featuring new fixtures; newly installed windows beaming with lots of natural sunlight throughout and a private balcony with spectacular views. With so many features in a prime location, this home wont last long. Make an offer today! The location you~ve been waiting for! 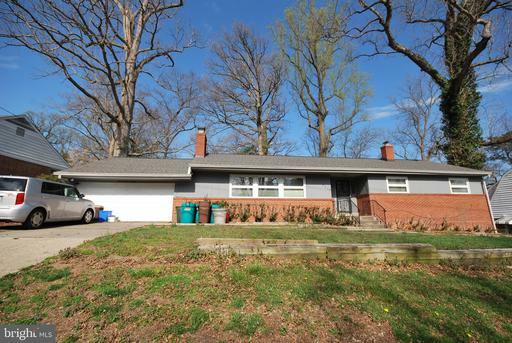 Large and unique lot in in Bradley Hills Grove, near the entrance to Burning Tree Country Club. Bring your builder and your imagination to take advantage of this private and wooded setting. 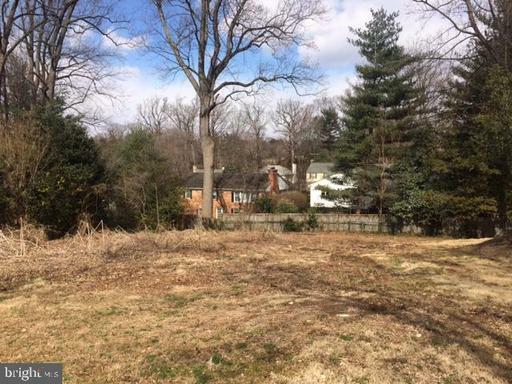 Lot size is over one acre in a rectangular shape with a mid-block location. House site would be set back from the road and not close to Burdette. The lot shape is well-suited to a unique home with a huge wall of windows across the rear elevation to take advantage of the lovely woods and creek that are on the rear third of the lot. 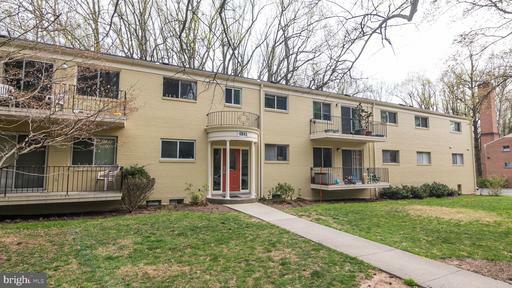 Easily accessible less than a mile to the River Rd exit/entrance ramps on the Beltway/495. 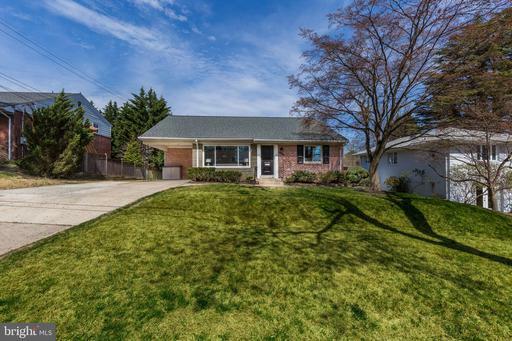 Close to sought-after public schools as well as several high-profile private schools nearby.The current house is a one-story structure with basement from approx.1938 and is most likely a teardown. Home sold ~as-is~.You will want to physically walk the lot to appreciate the possibilities ~ the survey and aerials show the lot shape but cannot convey the lovely setting.Please contact listing agent to receive a PDF package with more information, and disclosures available upon request.